Is your freshman talking about wanting to live anywhere but in a dorm next year? In a previous post, I wrote about housing options for sophomore year. But if your freshman is already bugging you about renting an apartment or house next year, read on to learn the pros and cons of moving off-campus. The space factor Living off-campus usually means your son or daughter can snag their own bedroom, more like home for most kids. This bit of privacy can make it easier to study, talk/Skype/FaceTime with friends and family, handle a bad day and decorate in their own way. The communal living room provides a comfortable place to relax with the roommates and friends, the kitchen the opportunity to store more food (some of it even fresh) and the private bathroom—well, that offers the chance to learn how to clean one. Food and dining options Your student finally has some. Now they can eat more of the food they like, cooked the way they prefer. Kids who are picky, enjoy cooking, want healthier food choices or crave variety in their diet will do better not tethered to a dining hall. Sure, plenty of kids still go the ramen noodle or Easy Mac route, but being able to fit a whole gallon of milk in the fridge and store cereal in a cabinet instead of in a bin under your bed makes a difference. Some students keep a college meal plan, for breakfast and/or lunch, so they can grab something to eat quickly between classes. These “commuter plans” work well at schools with few places to eat near campus. Off-campus living is cheaper Yes, you read that right. 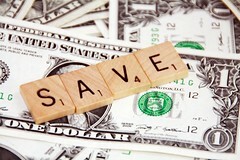 Unless your kid insists on a luxury townhouse instead of the typical college apartment/house, there’s money to be saved. Kids paying their own way need to seriously consider this option. Our college costs went down by a few thousand dollars when each of our children moved off campus. Compare the price of college room-and-board to the cost of rent, utilities and a food allowance and see if it adds up for your family. A glimpse into the real world Paying monthly rent and utilities on time and learning the cost of food helps many college students become more responsible. Plus the experience of reaching out to a landlord to fix a clogged sink, remembering to buy toilet paper before the last roll is done and understanding that dirty dishes don’t get clean on their own can change a kid, for the better, and create a new appreciation for Mom and Dad. Sure, their bedroom may stay covered in a mix of clean and dirty clothes all semester, and the floor of their shower may turn grimy, but they have to live in it, not you. Not every one can live on their own The kid who loses things all the time, doesn’t track what day it is, can’t budget their money, tends to pick irresponsible friends and still hasn’t figured out how to do laundry without turning everything red isn’t ready to move off-campus. Roommate issues happen anywhere Sometimes no matter how much living space there is, roommates have trouble getting along. Off-campus there’s no RA to help work it out. Or the five other roommates your student chose to share a house with might plan on partying every night instead of hitting the books now that they’re out of the dorm. Most importantly, it’s hard to know if everyone will be able to pay their rent on time. Your kid trusts their friends, but who pays when someone can’t or drops out of school? Not all neighborhoods are safe The super cheap apartment falls into two categories—far from campus or in an unsafe neighborhood. The latter can’t be ignored. No area is crime-free, but off-campus students have to be more vigilant about locking doors and who’s hanging out in their apartment. Location A long walk to campus forces your son or daughter to build in extra time to get to class. No more rolling out of bed and showing up in your pajamas. The takeout/fast food diet Not a healthy or economical way to live. If this is your child’s idea of life beyond the dining hall, living off-campus could be a problem. 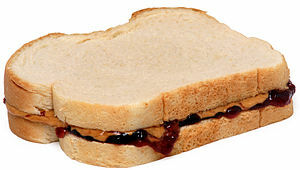 Having some meal preparation skills, like the ability to make a peanut butter and jelly sandwich for yourself, should be a basic requirement before taking the plunge to apartment life. If you’ve experienced the off-campus life with your college student, please share your thoughts and advice in the comments section below. Well on year two of off campus living for our son and everything you’ve written is spot on. Communication is key in dealing with roommates; setting ground rules for cleaning, entertaining guests, are two important ones. Our son made a chores list that needed to be done on a certain day(one when all roommates were available) it worked out nicely. The guests issue can be prickly; assert your boundaries and stick to your principals is best; be diplomatic of course! Cheaper yes but can ,like you mentioned, become expensive if roommates bailout for the summer if you have a years lease! Good suggestions here, Ellen. The yearlong lease can be problematic, especially if you can’t sublet, or as you say, the roommates opt out of the living arrangement. This is all so true and in some towns off campus housing is a readily available options, in other a real stretch. Great thoughts, I think the chances of a diet of junk food is something to really think about. Kids think they will cook, but many will not. You’re right that availability varies by school, Grown and Flown. Some colleges tell you upfront that they don’t provide housing for students after a certain year. They are the ones with the most off-campus rentals. Other schools prefer their students live in college-owned apartments on or very near campus, which means there usually less privately-managed options available. Off-campus housing has many benefits for students. It opens many doors and can also be cheaper when you have roommates. Thanks for sharing. Student housing is never an easy decision for anyone involved, and it’s good to consider location as well as things you would expect like cost and size. Great insights.